I had a lot of fun staying up and watching the Oscars on Sunday. I really enjoyed the show, even though I didn’t really like Seth MacFarlane as the host. He had some great moments (I loved the dances in his opening), but some of the jokes just weren’t funny. I actually managed to watch all the movies from the main six categories (so Best Picture, Best Directing and the 4 Best acting categories) before the ceremony and came quite far with all the others. I tend to struggle with “Oscar” movies: some movies are just too depressing and serious, while I just want to relax and be entertained. I do end up watching things though that I most probably wouldn’t have given a chance and end up loving, which is the main reason I do this every year. 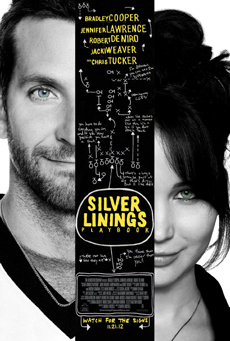 Silver Linings Playbook is that type of movie that I think I normally wouldn’t have watched or if I had attempted it, I think I would have switched off twenty minutes in. It’s about Pat (Bradley Cooper), who after a stint in a mental institution moves back into his parents place to try to get his life back on track while dealing with bipolar disorder. In that first half an hour his character is just so unlikable and unrootable for; you just have to cringe at some of the things he does. Once Jennifer Lawrence’s character is introduced though (a recent widow with mental health problems of her own), it becomes a really sweet and interesting movie. Okay, I did not like this movie. I get what it was going for and I can see what people liked about it, but for me it just didn’t resonate at all. 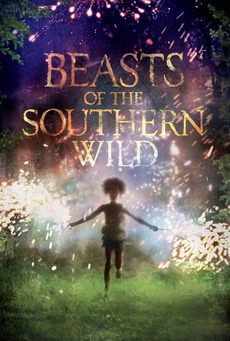 Beasts of The Southern Wild is about six-year-old Hushpuppy, who lives with her father in the Bathtub, a flood threatened bayou community. I think what I didn’t like about this movie is that to me it felt like it was glorifying poverty, turning the avoidance of using common sense into something magical and wise. Quvenzhané Wallis does give a stunning performance as Hushpuppy, but I never felt I cared for her or her father through the entire movie. 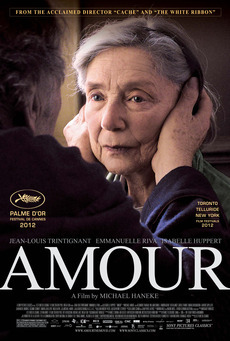 I loved Amour. It’s a sweet, but also brutal and harrowing tale about the final stages in a couple’s life. Georges and Anne are retired music teachers in their eighties, when Anne suffers a stroke paralysing half of her body. Both Emmanuelle Riva and Jean-Louis Trintignant give great performances as Georges and Anne, and you really feel for the suffering both of them go through.